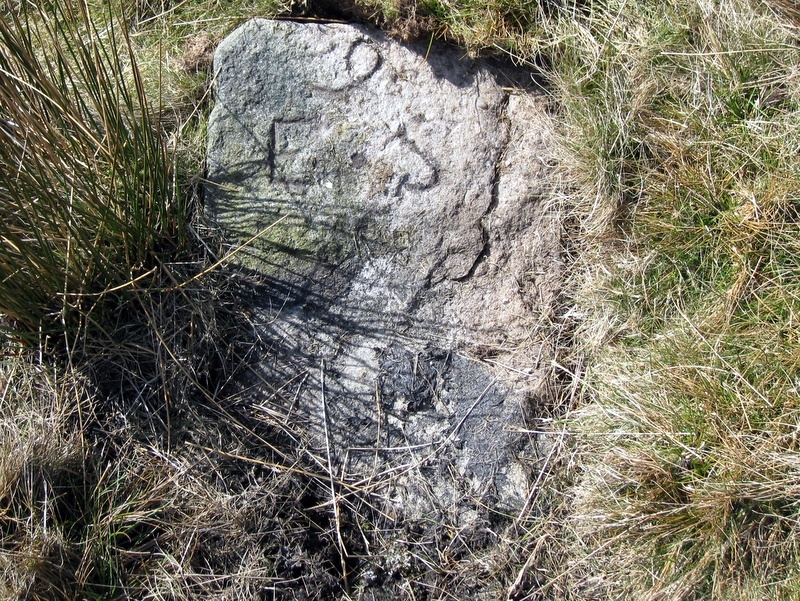 Location: This stone lies 360 m just north of east of John Young gate, some 165 m due south of the track. It isn't very easy to spot, as it is hidden from the north. This is a metre high stone lying on its back. The "9" has been carved at an angle, and the top half of the "S" has flaked away. According to Dr. Raistrick, these stones are associated with Elizabeth Shackleton, who was investing in small mining ventures in the 1770's. There are several of these stones differentiated by the number which, apparently, goes up to 21. See also Meer Stone 2, Meer Stone 38 and Meer Stone 50. 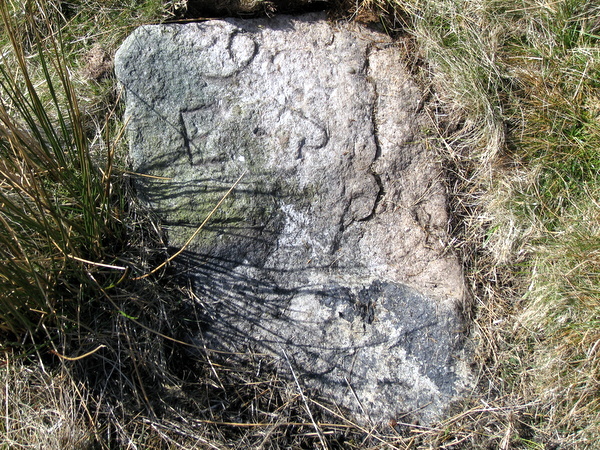 This stone probably marks the south-eastern corner of the holding marked on the Brailsford 1781 survey.